Paul Thomas Anderson is near the top of my short list of favorite directors, perhaps only behind Wes Anderson; apparently I have a thing for Nordic filmmakers. His movies are an amazing blend of speed, wit, and humor, dashed with darkness that he sometimes lifts us out of and sometimes lets us wallow in. Hard Eight, Boogie Nights, Magnolia, Punch-Drunk Love, There Will Be Blood, The Master, Inherent Vice; seven features before his latest, and what a filmography to hang your hat on. All are masterpieces, I've seen and enjoyed every one, although I love some while only liking others, and if I look closer I find that perhaps there's a peak in the middle, with a slight build up before and, dare I suggest, a slight drop off after. I don't doubt the talent of this incredible artist, but I will say this; I find his last two projects, including Phantom Thread, to be his weakest work, Oscar-nominations or not. In London in the 1950s, no name was bigger in the world of women's fashion than that of Reynolds Woodcock, a designer and dressmaker with the eye that every wealthy woman in high society wanted searching for their latest look. From countesses and princesses to widows with too much money spend, everyone wanted a Woodcock dress for their formal event, which kept the genius and his team of seamstresses busy every single day. From time to time, Reynolds would take a break from his routine by evicting his latest model girlfriend from the house in which he lived with his bachelorette sister and heading to the country for some fresh air and perhaps a fresh idea. On one of these outings, he stumbled upon Alma, a beautiful foreign girl who was exactly the proportion he was looking to clothe. But Reynolds would also fall in love with this charming creature, a state he didn't necessary enjoy and a disruption he absolutely didn't need. Hear me out for a minute; Phantom Thread is a rom/com. Stephen King once wrote a great but greatly under-read and under-appreciated novel called Cell about people's bodies being hijacked by a cellular signal, and it was as if he was tired of stupid zombie stories, that he almost flippantly wanted to show us that he could do it so much better, that the genre itself wasn't stupid as much as the people producing the media weren't very smart. That's how it is with PTA's latest film; it's like he'd seen enough silly romantic comedies and wanted to show us how it ought to be done. It's just that he's so incredibly talented that it looks like a period piece drama/epic love story and it gets nominated for Academy Awards, when in reality it's no more than a well-made love story with a little metaphor thrown in for good measure. I don't mean that take to sound like a belittlement at all, I think it's amazing how masterful an artist must be to create something outside of their style so effortlessly, just to prove that they can. 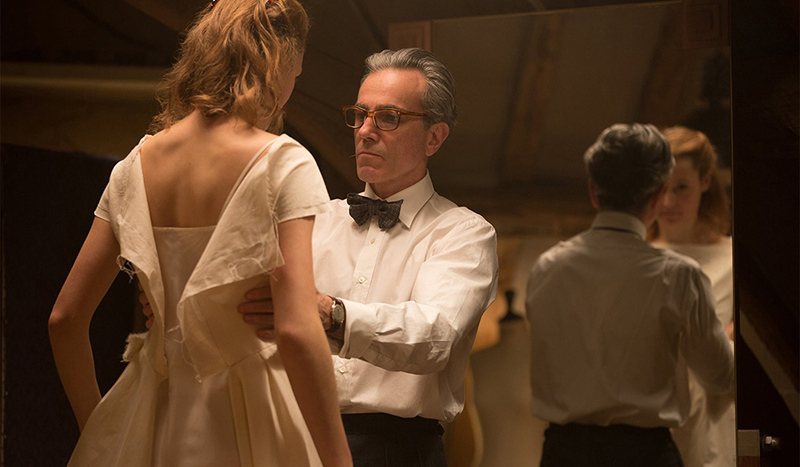 Phantom Thread is excellently romantic, more so because it shows so many negatives as well, even going into dark places that we don't want to explore in order to make the point. But it's also brilliantly funny is so many subtle ways, a clever essay on relationships that will have you laughing out loud if you can look past the surface and see the humor underneath. Daniel Day-Lewis is incredible, of course, because that's just what he brings ever time, and Lesley Manville more than deserves her Supporting Actress nod for her role as the sister, even if she doesn't have a prayer against Janney and Metcalf. But here's where I take a moment to step back and look past my awe at what the director is able to do, at the lead actor who has given us so much, at the beautiful dresses and sets and moments sprinkled throughout this oddly entertaining and twisted melodrama. First, it's not very Anderson-like. It's not quick, not driving, intense more in a Jane Eyre type of way and less a There Will Be Blood, surprising me with its departure from what has worked so well before. Second, there's a plot point involving mushrooms, and it's the fourth time I've seen that from a film this year, which is simply weird. PTA is above copying what others are doing, the only defense I can think of is that he wanted a wind-swept moor mood, a classic English novel feel, and he added that in with a typical, unimaginative ingredient. Lastly, Vicky Krieps was chosen because she has a distinct look, but she's not a strong actress, at least not at this exact moment or in this exact project. She doesn't hold up her end of the load, and that's rather unfortunate. 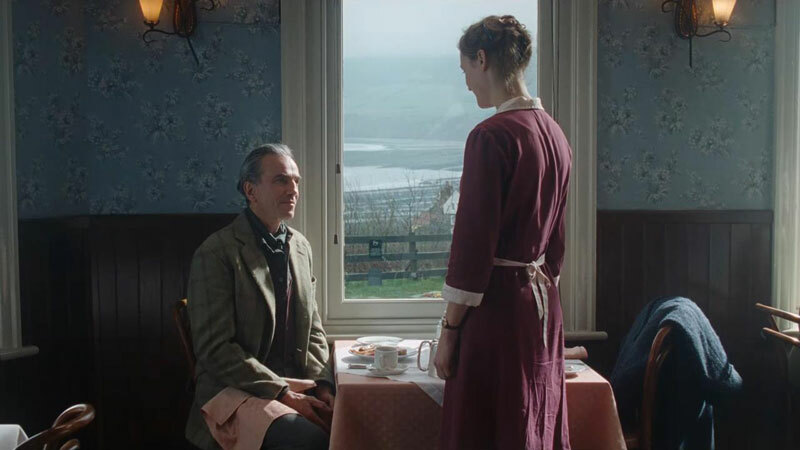 Phantom Thread is a good movie, a fun mix of Brit Lit canon and ill-fated love comedy, played with striking performances from its veterans. But it doesn't deliver the punch that Anderson is known for; even when it tries to go dark it only turns out some of the lights. It might pick up some Oscars, I won't sit here and tell you that it deserves to be ignored, but I also can't say that I'm not slightly disappointed.